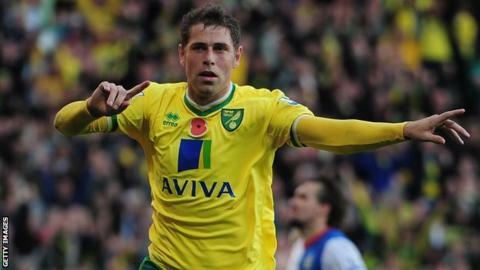 Rangers have failed with a bid for Norwich striker Grant Holt. The Ibrox club are seeking a replacement for leading goalscorer Nikica Jelavic, . Holt, 30, is the Canaries captain and has scored nine goals in 23 appearances for Paul Lambert's side this season. The powerful Carlisle-born striker has been at Carrow Road since the summer of 2009 after a £400,000 switch from Shrewsbury Town. Rangers' failure to land a replacement for Jelavic leaves manager Ally McCoist short on striking options. But club owner Craig Whyte insisted they had no choice but to accept Everton's bid for a player who joined from Rapid Vienna for £4m in August 2010. "One, the player wanted to leave and there is no point in trying to keep a player who no longer wants to be at Ibrox," he said. What is really going on at Rangers? Read more on What is really going on at Rangers?